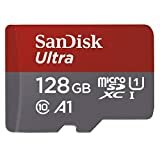 Amazon dropped its price on the Sandisk Ultra 128GB Micro SDXC UHS-I Card with Adapter earlier this week to an all-time low. They sold out pretty quickly at that price, but it looks like Amazon was quick to restock them. These ultra-fast 128GB microSD cards are available right now on Amazon for just $32… but there’s a good chance they’ll sell out again. If you want in on the action, definitely grab one now while you can. 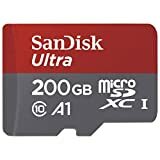 Or if you want even more storage, SanDisk 200GB microSD cards are down to $55!